If you are a recent widow, widower, divorcee or independent person facing a major life transition, you needn’t go it alone. Laura Mossakowski, CFP® and her team at Laura Mossakowski, LLC can help you plan and work toward emerging from it stronger than ever. Face tomorrow with confidence. Get the financial care and experienced guidance you need to plan for your future. 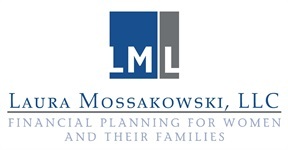 Call Laura Mossakowski, LLC today.